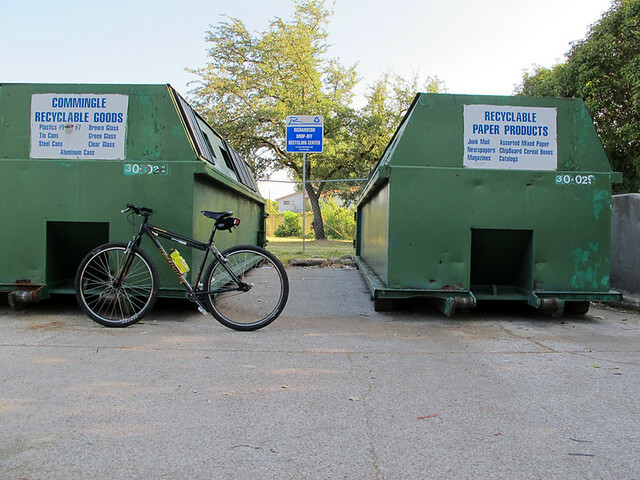 One of the great things about Richardson, is the fact that there is a recycling collection service. Every week, we put out our little blue bags filled with papers, bottles and cans with hopes to reduce landfill waste and lessen the consumption of our natural resources. What happens when you can’t fit your recycling in the little blue bags? Well, the answer is just across town for you. 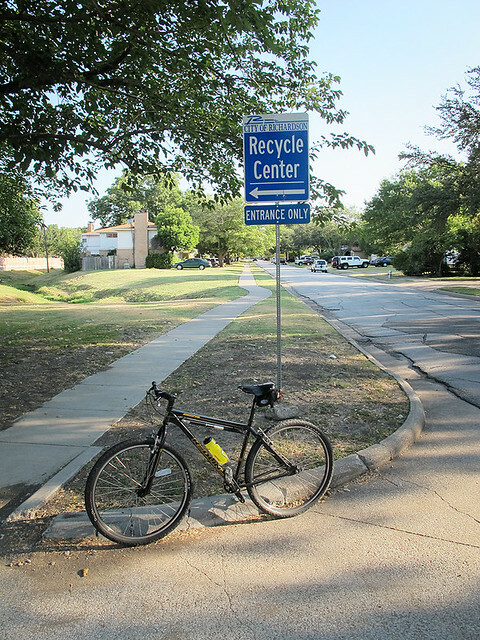 Richardson has a recycle center, on Cottonwood Drive, just north of Belt Line Road. Click here for more information about recycling in Richardson. I love the recycling program! Most weeks, our house has an equal amount of recycling & trash, or more recycling than trash. Hopefully we can start composting soon to reduce our landfill trash even more.